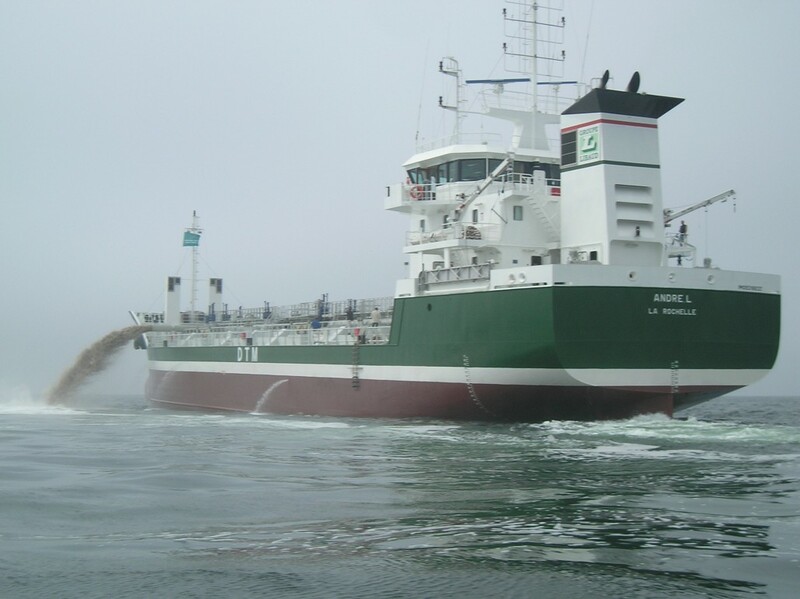 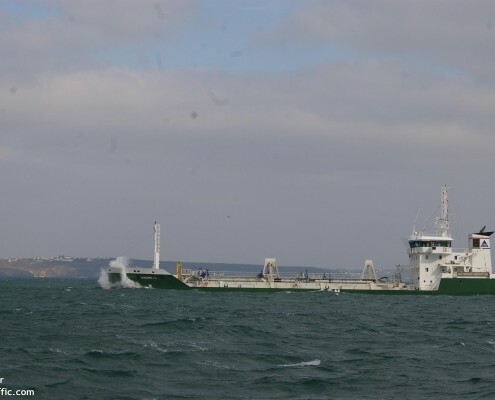 To the France dredging company DTM, Barkmeijer Shipyards delivered the trailing hopper suction dredger ‘Andre L’. 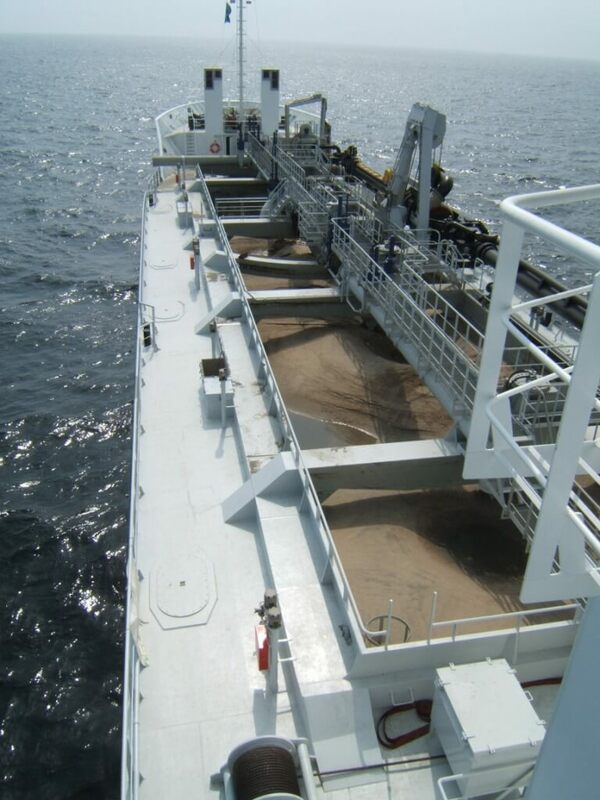 This vessel is basically intended for the gaining of sand from the sea. 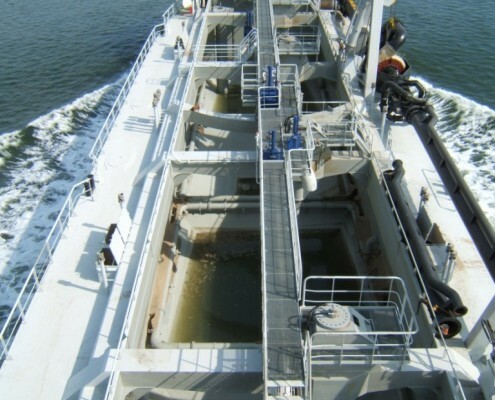 Loading occurs by means of a submerged dredge pump and discharge is possible via four bottom doors and via a shore delivery line and bow coupling. 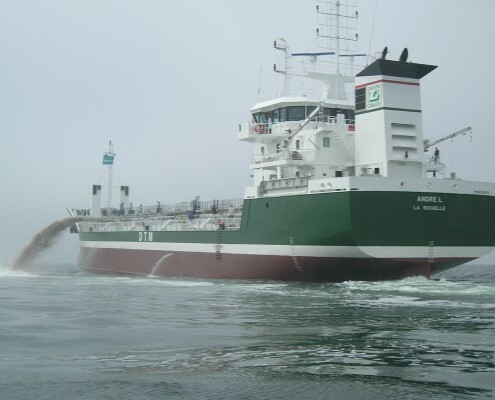 The ship has been constructed with a raked straight stem, a straight stern and a bulbous bow. 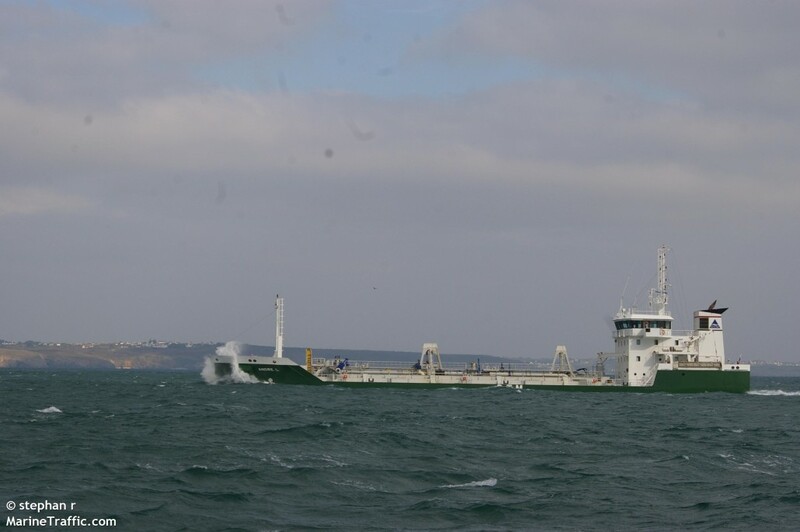 The propeller runs in a nozzle which is supported to the ship’s hull via a headbox. 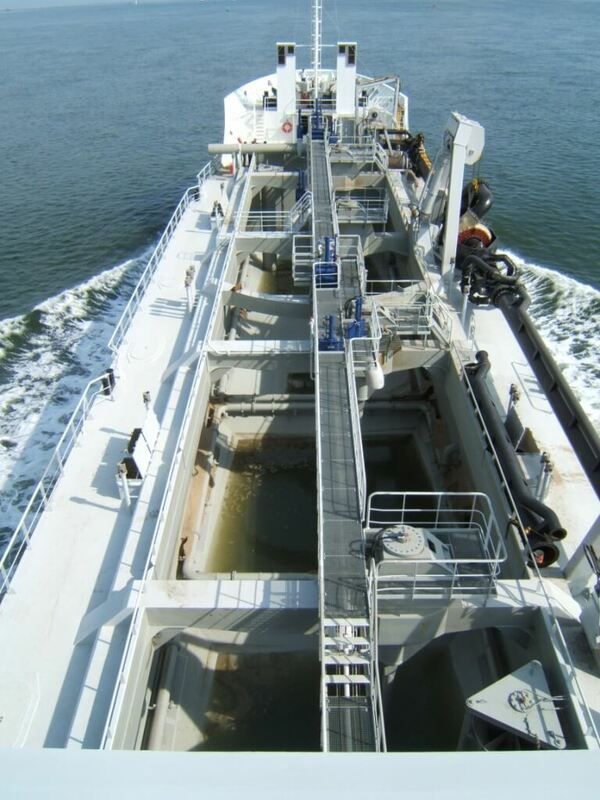 All accommodations, engine room, navigation bridge and dredging controls are arranged aft. 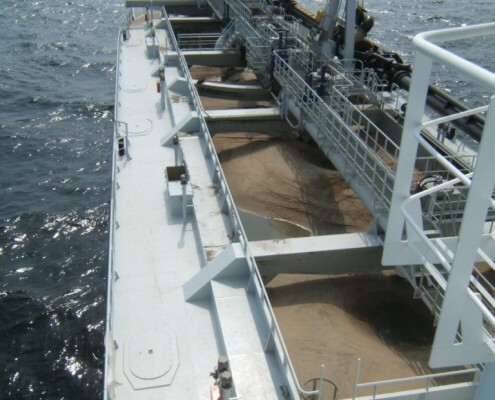 The hopper geometry has been designed enabling good discharging characteristics both for bottom discharging and for shore delivery.